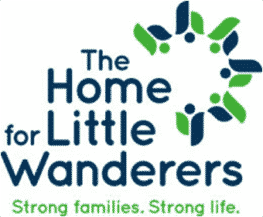 The Home for Little Wanderers (The Home) welcomes Jeanne Armocida as its new Vice President of Development. Jeanne comes to The Home with a wide breadth of development experience. Most recently, as Executive Director of Development at Spaulding Rehabilitation Network and in previous leadership development positions at McLean Hospital and Wayside Youth & Family Support Network. Jeanne received her B.S. in Marketing and Management from Bentley University and received her Master of Arts in Business Administration from Framingham State University. Reporting to President and CEO, Joan Wallace-Benjamin, Jeanne will oversee and manage the development functions of the Home, including: annual fund, major gifts, corporate and foundation giving, and targeted program and capital funds. As Vice President of Development, Jeanne will contribute to setting the strategy of the organization through participation on the Executive Management Team. The Home for Little Wanderers provides a seamless continuum of vital programs and services for every stage of child and family development. For more than 200 years, The Home has earned a reputation for doing whatever it takes to strengthen vulnerable families and keep children safe in their own communities, even when they don’t have family support.